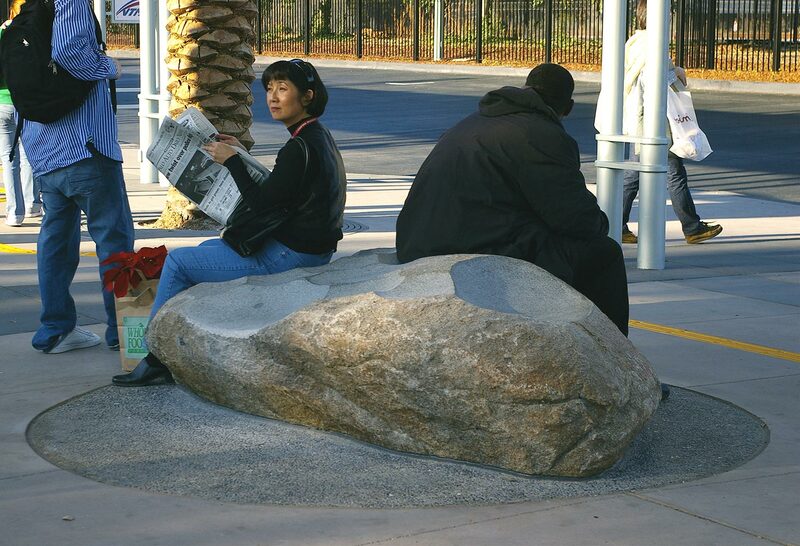 This design was a series of 6 sculpture benches for a very active bus station. 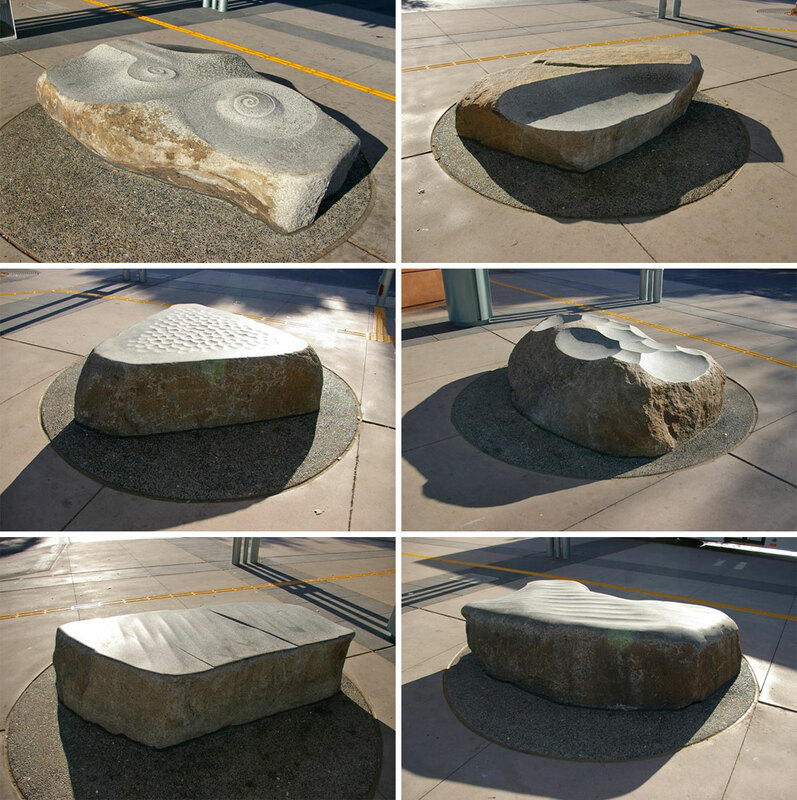 The artist’s challenge was to make the benches functional and to create aesthetic works of art. 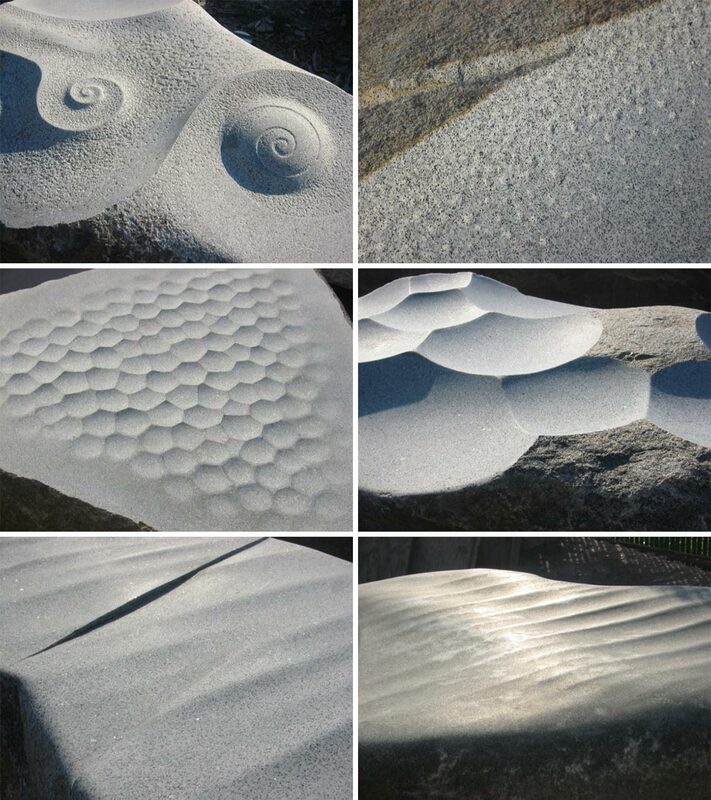 Each natural granite boulder was carved in a unique and varied wave pattern. 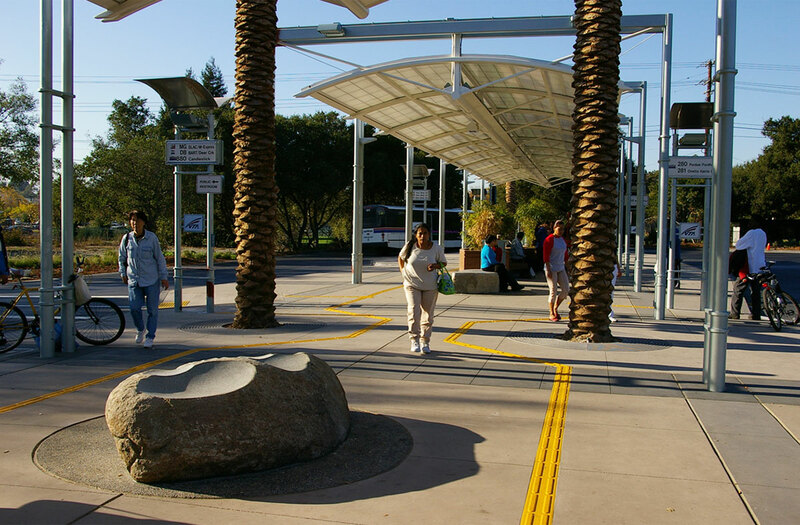 The artist’s intent was to bring the essence of nature to this site while offering a useful means for resting and sitting to the passengers with the joy of a tactile experience.